Mardi Gras is synonymous with one very long wild party, and Universal Orlando Resort pulls out all the stops to recreate the New Orleans celebration for guests each spring at their annual Mardi Gras celebration. 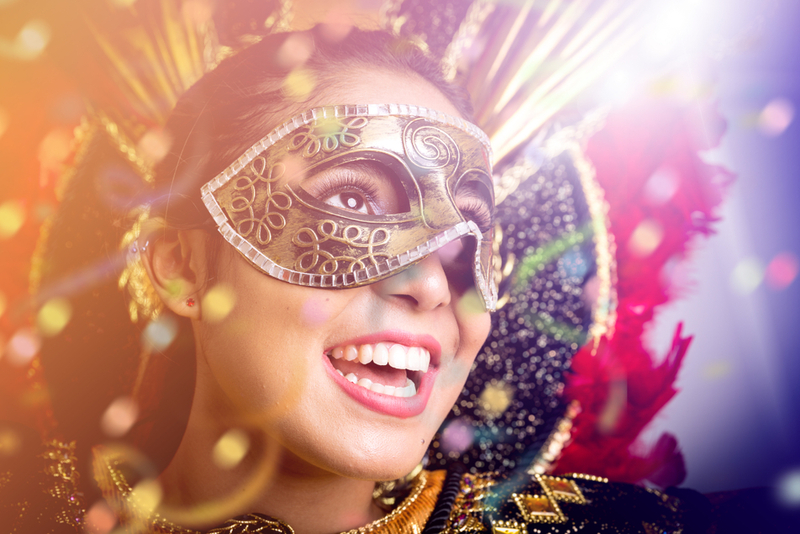 Every night from February 9 to April 4, guests are transported to the Big Easy as Universal Orlando hosts Florida’s biggest party full of great music, tasty food, outrageous fun, and tons of beads. Line the streets of Universal Studios as the park brings Bourbon Street to Orlando complete with authentic and extravagantly-decorated parade floats designed by Kern Studios. Escorted by lively dancers, stilt-walkers, and costumed horses, the parade roars through the park as a rainbow of confetti and colorful beads fall into the open hands of jubilant onlookers. Families and children are invited to gather in front of the Brown Derby Hat Shop for an unobstructed view of the parade at the Little Jester’s Parade viewing area. There, little ones can let the good times roll as the parade showers them in beads and doubloons. On select nights, successful and popular musical acts will grace the Universal stage during the Mardi Gras concert series to perform a live concert that’s included with park admission. A lineup featuring today’s top artists will be announced soon. Past all-star acts included Kelly Clarkson, Pitbull, Diana Ross, and The Beach Boys. Guests are also invited to experience authentic jazz, blues, and zydeco sounds every day of the event in the NOLA-transformed New York area. Guests can savor the Cajun tastes of Mardi Gras in Universal’s French Quarter Courtyard. Sizzling specialties like gumbo, crawfish, and jambalaya are available for purchase as are deliciously sweet and sugary beignets. After a full day of rides and a full night of traditional Mardi Gras delight, guests of Universal Orlando will be in need of nearby accommodations to rest their well-partied heads. With free amenities like a pool, fitness center, playground, arcade room, Wi-Fi, and shuttle service to and from the park and hotel, the nearby Rosen Inn at Pointe Orlando offers comfortable lodging all within your budget. To check availability or reserve a room today, call us at 407-996-8585.